Ramallah- Hamas movement has ignited the battle over the early succession of Palestinian President Mahmoud Abbas by announcing that the speaker of the Palestinian Legislative Council would assume his position if Abbas could not carry out his duties. “The Palestinian basic law stipulates that if the president’s health deteriorates, if he dies or can not carry out his job, then the president of the Legislative Council (parliament) should assume his position for 60 days in preparation for holding elections,” said Ahmad Bahar, a leader in the Islamic Movement that governs Gaza Strip. Bahar recalled a similar incident in 2004, when former President Yasser Arafat passed away and was replaced by Speaker of the Parliament – back then Rouhi Fattouh. He stressed that the National Council has nothing to do with this matter. Bahar’s statements came amid rising fears of a vacuum in the Palestinian political system after Abbas, especially following a slight setback in his health that demanded him to do some medical tests in Ramallah. While Hamas says that Speaker of the Legislative Council Aziz Duwaik, pro-Hamas, will succeed Abbas, Fatah is preparing for a totally different plan and is discussing different scenarios, but it will first elect a new executive committee for the Palestine Liberation Organization (PLO). The National Council will convene a meeting at any time before the end of the year to elect a new Executive Committee for the PLO. Fatah officials say the election of a new committee comes within the framework of renewing Palestinian legitimacy. Yet, observers say that it also paves the way for a safe and smooth transition of power. They are not only Palestinian concerns but also Arab as well as Israeli. The Israeli security services have put forward several post-Abbas scenarios. It is believed that Fatah movement will elect one of its members in the Central Committee for membership of the Executive Committee of the PLO, and this will be, according to the Fathawi Khales’s concept, the closest person nominated to succeed Abbas. 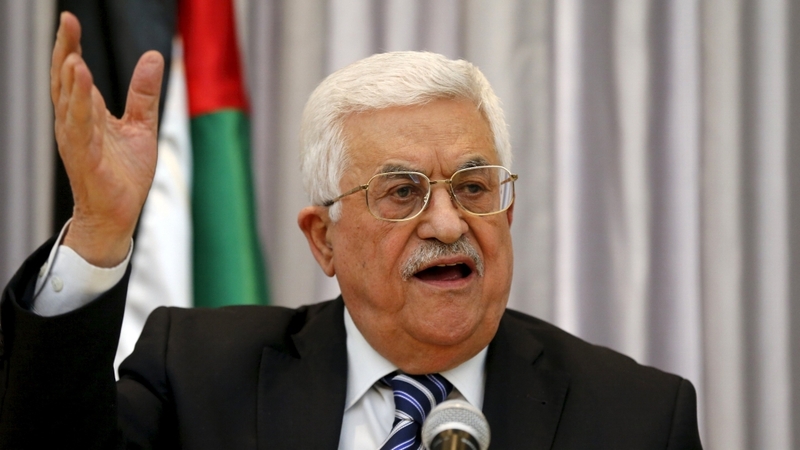 Notably, there is still no vice president for Abbas since the basic constitution of the Palestinian Authority (PA) does not include the position of vice president, but there is a deputy to the president of Fatah movement, who is Mahmoud al-Aloul, the former governor of Nablus. The other scenario might lead to reconciliation with Hamas and carrying out new public elections. With this legal dispute and with the absence of a vice president, fears of a vacuum in the Palestinian political system are growing. These concerns are not only limited to Palestinians but also to Arabs and Israelis as the Israeli security services put several scenarios for the post-Abbas era.